Available complete works of Shri Vasudevanand Saraswati (Tembe) Swami Maharaj, Lord Dattatreya incarnate, were published by Swamiji's prime disciple, Yogiraj Shri Gulavani Maharaj of Pune, at Hyderabad(Andhra Pradesh), about 40 years ago, with the help of a learned and devoted editorial team led by venerable Brahmashri Shri Datta Maharaj Kavishwar. Since then, portions of his substantial works have been, and continue to be published by institutions and individuals dedicated to Shri Swami Maharaj, from time to time. However, because of the large size and relatively limited demand for some of Swamiji's Sanskrit tomes, it is becoming increasingly difficult and uneconomical to print these. 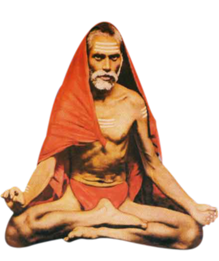 Hence electronic publication of all available literature of Shri Swami Maharaj may prove to be an effective means of preserving this precious cultural heritage and making it available to the widely scattered devtotees of this great 19th century saint. The works of Shri Swami Maharaj have been described by the venerated Shri Dhundhiraj Maharaj Kavishwar, as "extraordinary, divinely inspired, spontaneous, pleasant, suffused with divine benediction, fulfilling to the recipient... authentic, self-evident and bestowing wishes"
It needs to be emphasized here that this holy body of valuable and varied literature was the creation of a poor Brahmin from a remote village in coastal Maharashtra, who had very limited facilities and practically no access to any library. Most of the cultural treasure was composed in his itinerant life, with no home nor any assured source of food or any trace of comforts and leisure normally considered essential for creative writing. All his life Shri Swami Maharaj was afflicted by physical ailments and braved adverse climate. One of his major Sanskrit works, all of its 7000 stanzas, was written when he was suffering from plague. Even after a century, Swamiji's works have not only survived but continues to nourish the faith of thousands of devotees of Lord Dattatreya who find in his works the divine guidance and solace. Several authorities have compared his works with those of Shri Adya Shankaracharya, for its vast scope and extent, spiritual depth, great variety and most of all, the vibrant divinity. Marathi and Sanskrit are two languages in which his literary genius finds a multifaceted expression. The subject of these writings are the life, philosophy and worship of the Great Lord Dattatreya and His two incarnations in the Kali Yuga, Shripad Shrivallabh and Shri Narsimh Saraswati. These works transcend the subjects to encompass the lucid and authentic accounts of the doctrines, rituals and the mythology of Vedic religion, their relevance to human life and directions for proper religious and spiritual practices. The works range from simple rhythmic devotional songs to ornate, profound poetry set to specific meters. He has also written flowing commentaries on some of his more difficult works that display his vast and deep knowledge not only of the Vedic and scriptural literature, but even of grammar, Ayurveda, astrology and other Indian sciences. His works thus comprise a priceless treasure of Indian cultural heritage. Following is the summary of Shri Swamiji's sacred and purifying literature. Maharashtra Composed in 12 days, when still a ouseholder. 9 Shri Gurusanhita (Samashloki) Sanskrit 1902 Brahmavarta UP	 Completed in less than 3 months, even as he was suffering from plague. 12 Shri Krishnalahari Sanskrit 1904 On the way to Ganagapur on the bank of Krishna. Mother Krishna appeared in physical form to listen even as Swamiji sang out inspiredly the 51 stanzas. 13 Shri Dattachampu Sanskrit 1905 Narasi Maharashtra	 Karunatripadi was also composed at Narasi. 15 Samashloki Churnika Sanskrit 1907 Sandhyamandap Thanjavur Tamilnadu. 16 Shri Krishnalahari Commentary Sanskrit 1907 Sandhyamandap Thanjavur Tamilnadu. 17 Yuvashiksha & Vriddhashiksha Sanskrit 1908 Muktyala Andhra P.	 These two with Kumarshiksha make up Shikshatrayam. 18 Strishiksha Marathi 1908 Muktyala Andhra P.
Please fill and send form below to get download links of literary work of P.P. Shri Swami Maharaj. Links will be send immediately to your email ID. You may also subscribe Shri Vasudev Niwas newsletter and SMS notofication service.